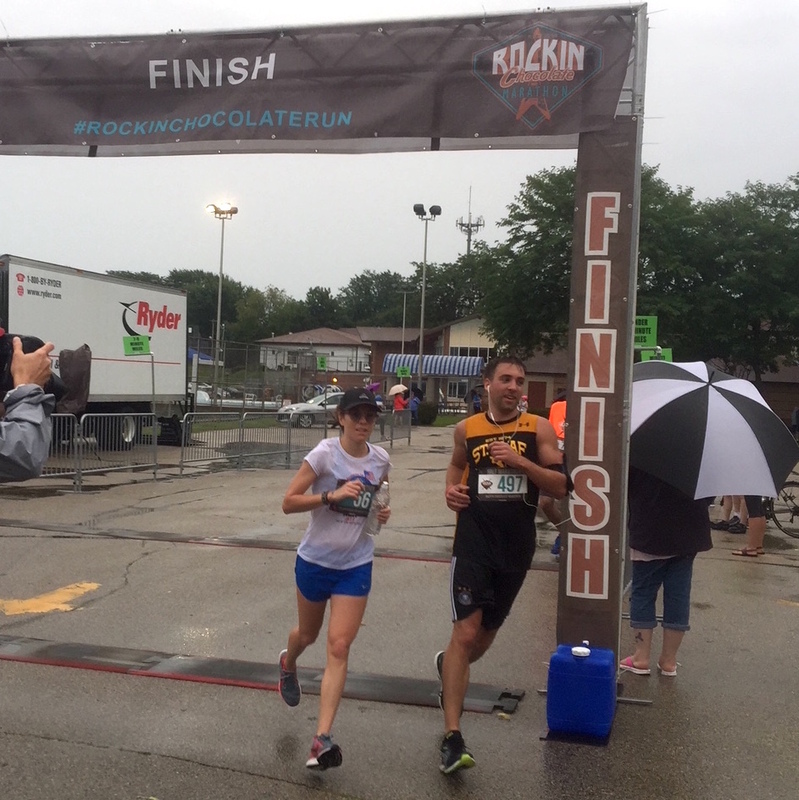 On Saturday, the Rockin’ Chocolate Half Marathon and Marathon was held in Madison, Wisconsin. This chocolate-themed race was a great way to start to Labor Day weekend. Both races started promptly at 7 a.m. and offered an individual or marathon relay option. Despite the rainy morning, all of the runners and volunteers were in great spirits; the race began at a community center where there was ample street and parking lot space available. 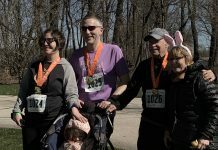 It was very clear that safety was a main concern for race organizers, who advised runners to pay attention to the color markings at all aid stations. The flags would advise runners on the course of the weather, as storms were likely to move in throughout the morning. The first two miles were dry, but then a moderate rain held steady through the entire morning, making for very wet running shoes and soggy runners. 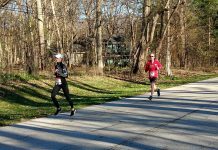 The half marathon course ran through residential neighborhoods, along the lakefront and through the downtown area. It was a very scenic course, filled with spectators, aid stations and residents. Marathon runners made the loop twice, allowing runners to stop at the halfway mark if the rain was too much. This course had a vast variety in scenery and alternated between sidewalk and street running. It was well marked and heavily staffed, making for an enjoyable running experience overall. All racers received a soft short-sleeved T-shirt and a large chocolate dazzled metal. I would highly recommend this race for anyone in Chicago looking for a fun Labor Day weekend run-cation. First through third male Marathon winners were: Shawn Ferguson, Martin Erl and Jacob Young. First through third female Marathon winners were: Lori Jo Thomas, Elizabeth Wellbron and Laura Eaton. First through third male Half Marathon winners were: Gabe Stanek, William Dixon and Todd Hanson. First through third female Half Marathon winners were: Lindsey Stanek, Hannah Erl and Rachel Groman.